There were a few promising updates about the Apple iPhone 6 rumors in the past few days and now we have something about the upcoming iOS 8 and the iPad Air. 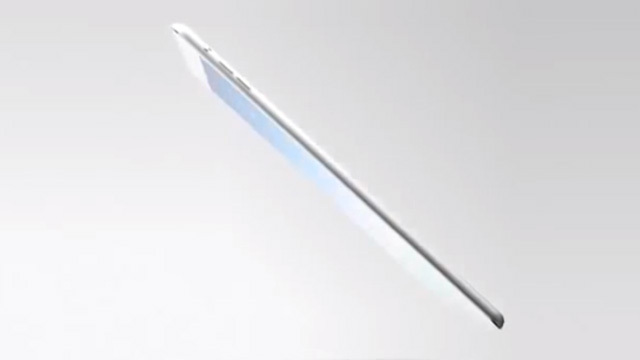 Images from China proposed the screen for the next generation of the iPad Air — The iPad Air 2. The new iPad Air 2 will be having a display that has both the touch and the glass fused together to reduce the overall thickness. The leaked images were first spotted by a dutch website, One More Thing. The dutch website stated that the images are from a Chinese display manufacture, but Apple was recently in news for ordering the ultra-Retina screens from Japanese and South Korea giants. There is a small round metal-like shape in the place of home button so we are expecting a Touch ID in the coming generations of the iPad and the iPods. The Touch ID is one of the most significant feature Apple has provided. Although Apple was not first to introduce it, an Android device was first to integrate a finger print sensor. Releasing by the end of this year, the iPad Air 2 will also be going to have a powerful 64-bit A8 processor and an ultra-retina display. The iPad Air 2 would be fastest iDevice the company has ever produced and will come loaded with the upcoming iOS 8, which will probably be announced at the WWDC set to happen in June. Rounding up for the iPad, the upcoming iOS 8 is also be going to debut with some major changes, starting from a new health app called “Health Book” Apple will be integrating the upcoming iOS 8 with a music discovery service called Shazam. It will also have some of the apps which were only seen in the Mac OS X till now. Introduction of the ‘Health Book’ app is probably an indication that the Apple is coming up with some sensors that measures blood pressure and the sugar level in the body. And the sensors would probably be not in the iPhone 6 but also in the other associated accessories, In the recent patents from the company, Apple is probably going to have the earphones equipped with sensors.